Amy Pepper reviews the 8th edition of the well-regarded medical textbook. This is the 8th edition of this well-regarded medical textbook. Its contributors include several nurses and the subjects covered will be of interest to any nurse or nursing student working with older adults. 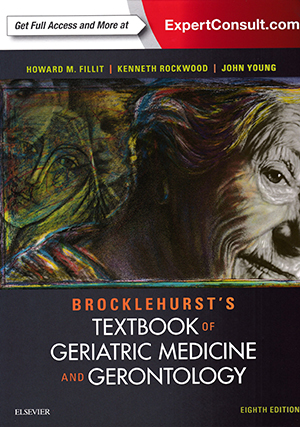 This newest edition has been revised with a focus on frailty, which brings it in line with the way geriatric medicine is evolving. It covers a wide range of topics, including biological, medical, psychological and social gerontology. Chapters cover all the main body systems in relation to ageing, meaning it will be useful to nurses across a range of specialties. It was nice to see some chapters on normal ageing and health promotion, rather than a focus solely on pathology. The chapters on the specific problems of ageing will be of interest to nurses working with older adults and most are comprehensive, covering causes, assessment and management. Being a textbook of this size, it is not an easy read and the subject matter is often dense by necessity, but the inclusion of ‘key points’ at the end of each chapter and diagrams throughout help to break up the text. It is unlikely to feature in many nurse’s personal libraries, but it would make an excellent addition to any nursing library or resource for a ward or community team.